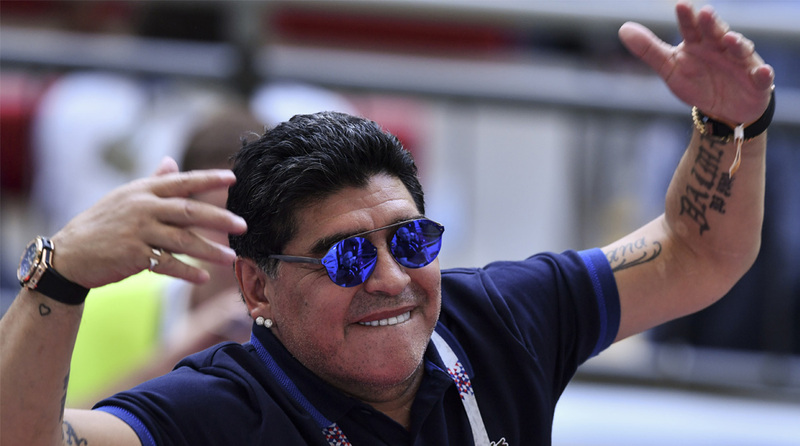 Argentine football legend Diego Maradona believes Brazil are “on the way” in Russia to their sixth World Cup title following their 2-0 defeat of Mexico in the Round-of-16 on Monday. Neymar and Roberto Firmino struck second-half goals in Samara as Brazil booked a place in the quarter-finals against Belgium, reports Xinhua news agency. “I saw a team that is solid and on the way to the title,” Maradona said on his Venezuelan television programme, De la Mano del Diez. The game was delayed for more than four minutes after Layun appeared to deliberately step on Neymar’s leg, prompting the Brazilian forward to writhe on the ground in apparent agony. Maradona was in charge of Argentina at the 2010 World Cup in South Africa, where the team were eliminated in the quarter-finals by Germany. The Albiceleste were knocked out in the Round-of-16 in Russia with a 3-4 loss to France. Current coach Jorge Sampaoli is contracted until 2022.